In a rapidly changing world, debating ideas matters more than ever. 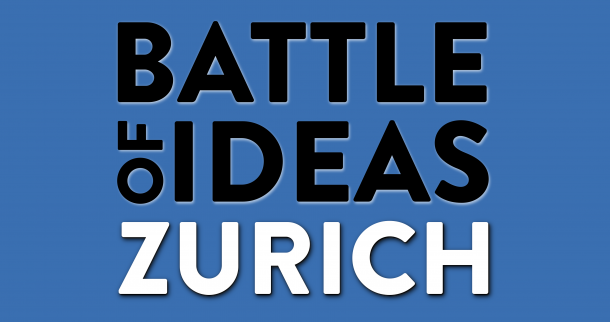 The Battle of Ideas Zurich festival provides a unique forum to discuss the big issues of our time. 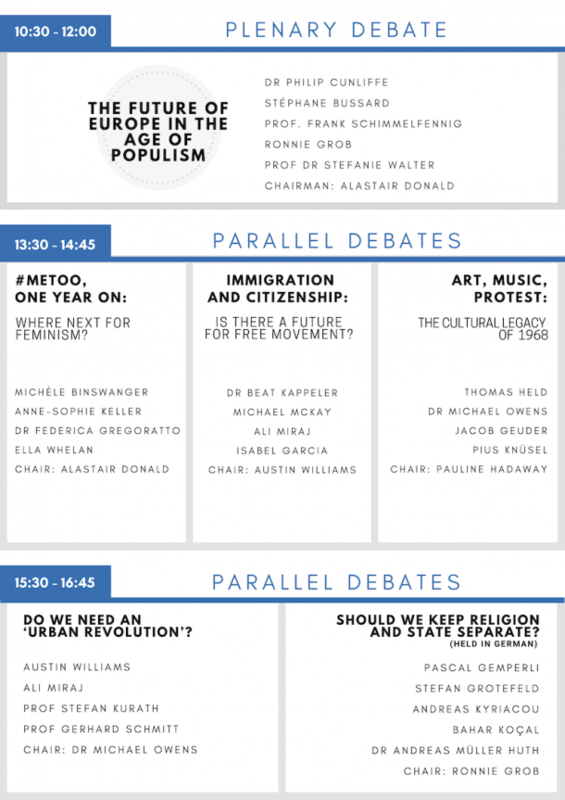 Speakers include Professor Dr Gerhard Schmitt debating do we need an urban revolution, Ronnie Grob debating the threat posed by populism, Thomas Held debating Art, Music, Protest: The Cultural Legacy of 1968 and Michèle Binswanger #MeToo and Andreas Kyriacou whether to separate religion and state in Switzerland. Moreover, this is not an invitation for you to come along passively. The most searching questions and smartest insights often come from the floor, not the panellists. If you are worried about the quality of public debate and want to really be part of the discussion, come along and join in. • Immigration and citizenship: Is there a future for free movement? • #metoo, one year on: Where next for feminism? • Do we need an ‘urban revolution’? The Battle of Ideas festival opens with traditional Japanese drums and will close with a classic performance on a marimba and a free cocktail reception for all participants courtesy of the city and the canton of Zurich. 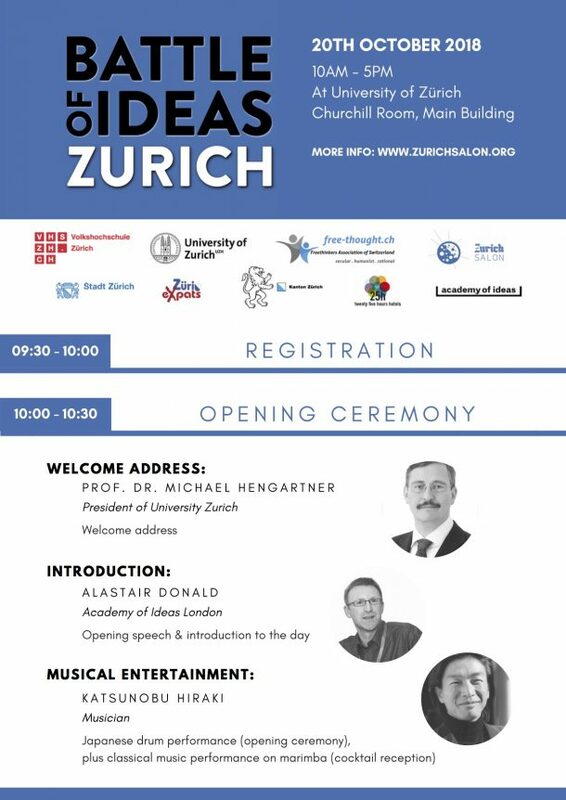 The Battle of Ideas in Zurich is a cooperation between Academy of Ideas in London and Zurich Salon in association with Volkshochschule Zurich, Freethinkers Association of Switzerland, Zurich Expats, our venue partner University of Zurich, and 25hours Hotel Zurich Langstrasse.